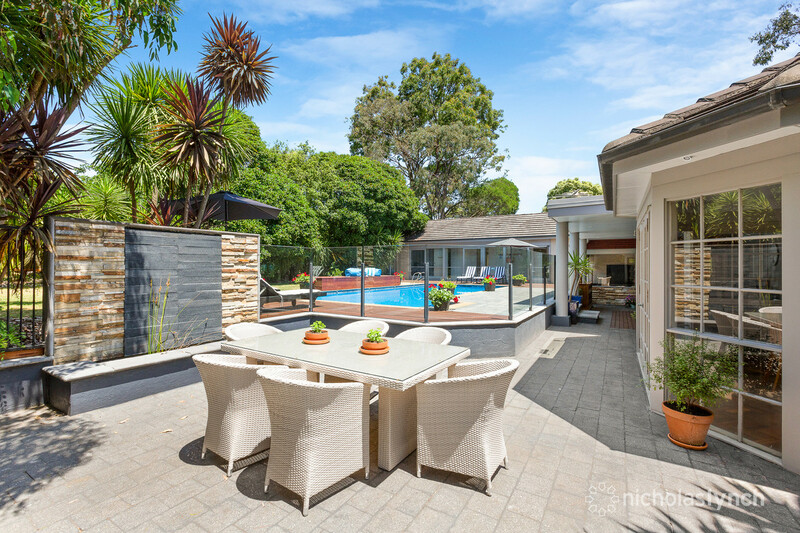 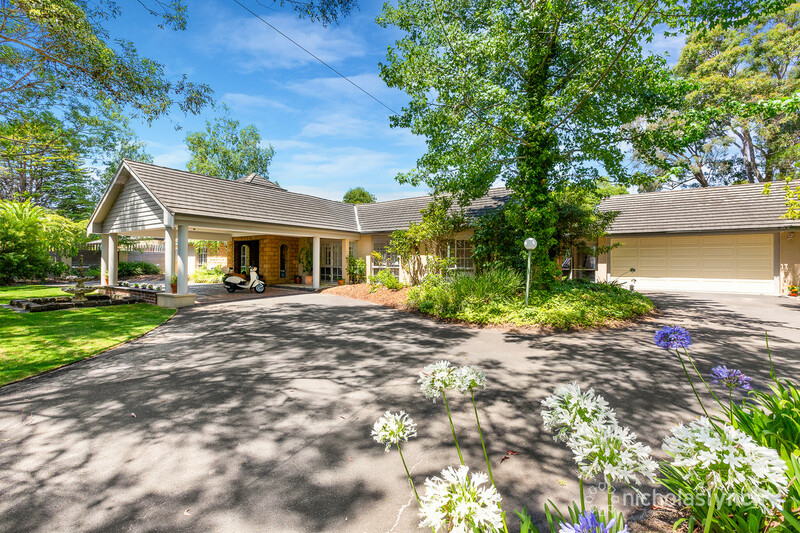 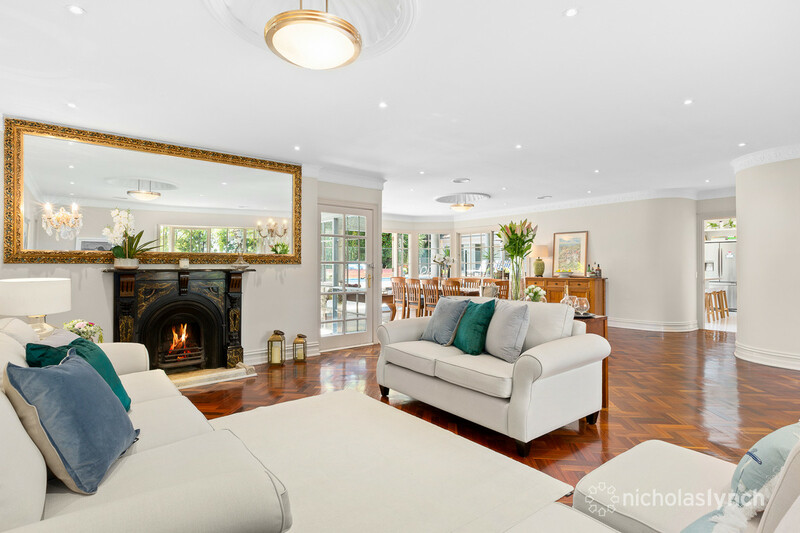 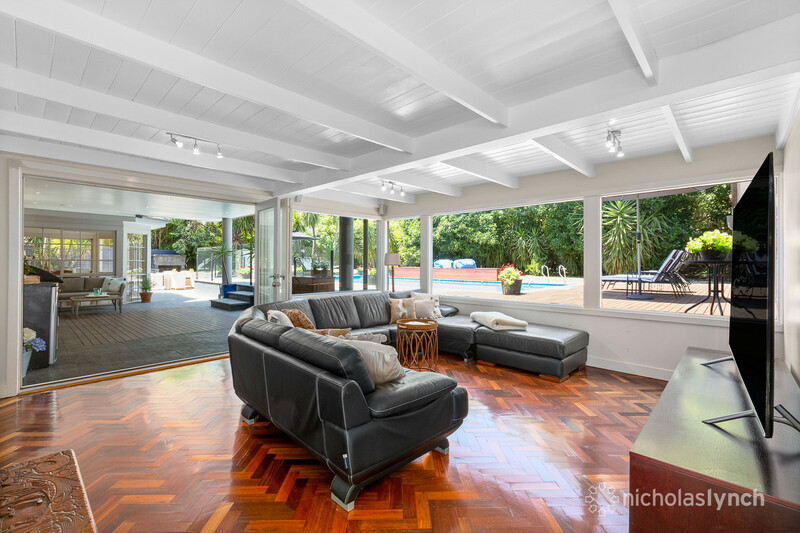 Proudly positioned in Mount Eliza’s Woodlands Estate, this stunning residence offers family living on nearly half an acre (approx.). 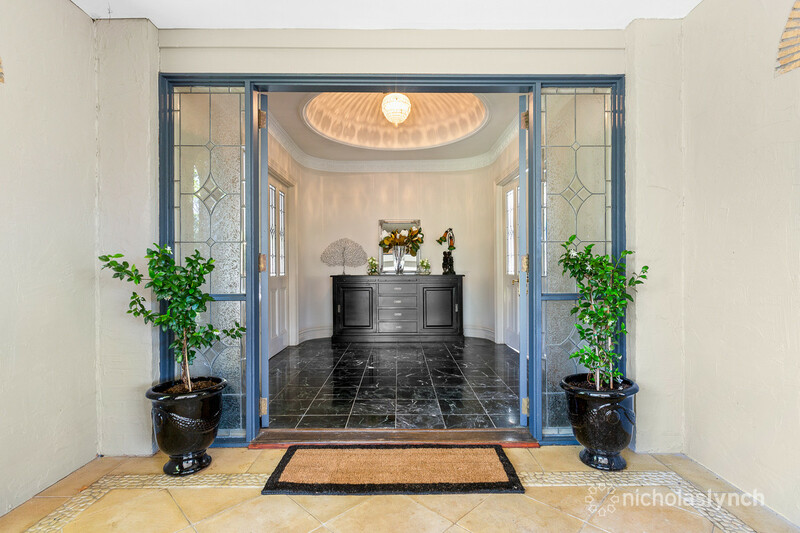 Set behind automatic gates with a palatial front entry, the home combines timeless grandeur with contemporary finishes. 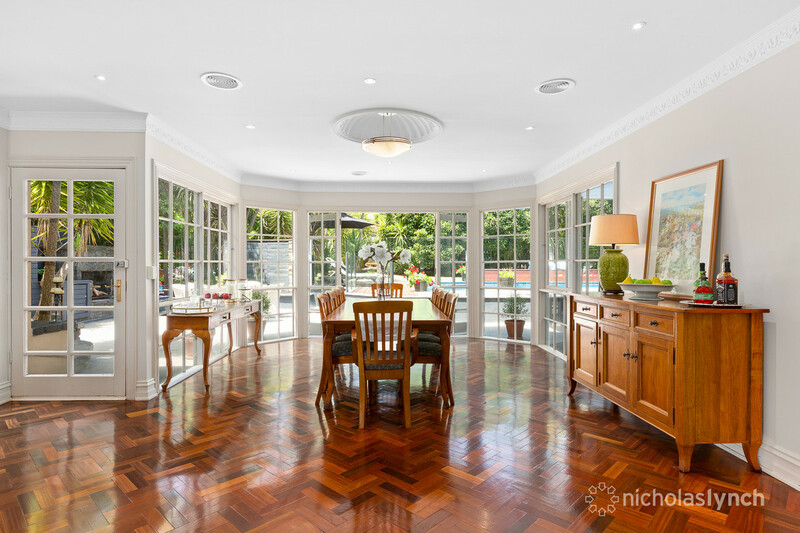 The formal lounge/dining room features parquetry floors, curved walls, architectural ceiling domes, decorative cornices and an open fireplace. 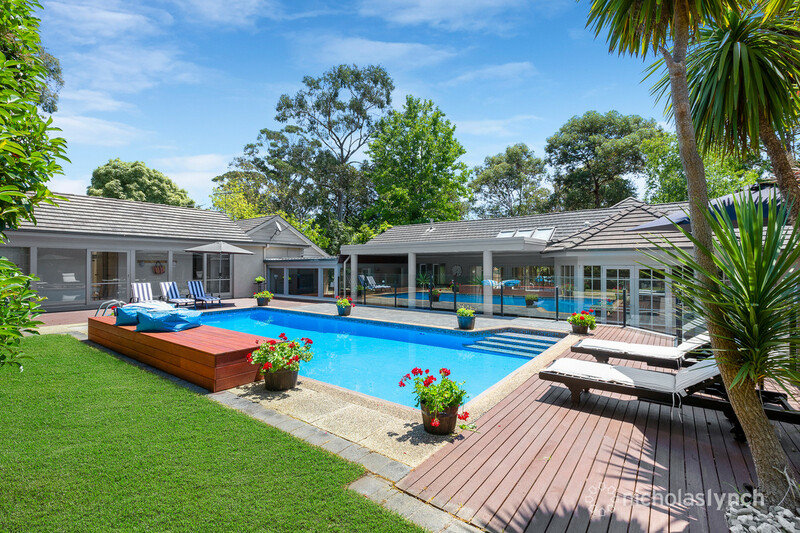 French doors flow onto an entertaining area with an outdoor fireplace and water feature alongside a covered alfresco space and solar-heated swimming pool. 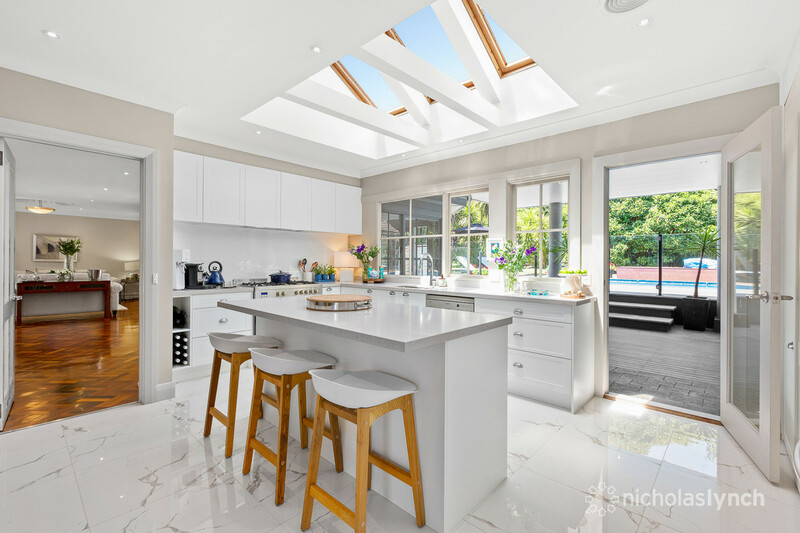 The light-filled kitchen, boasting stone benchtops, shaker-style cabinets and quality stainless-steel appliances, adjoins a family/meals area. 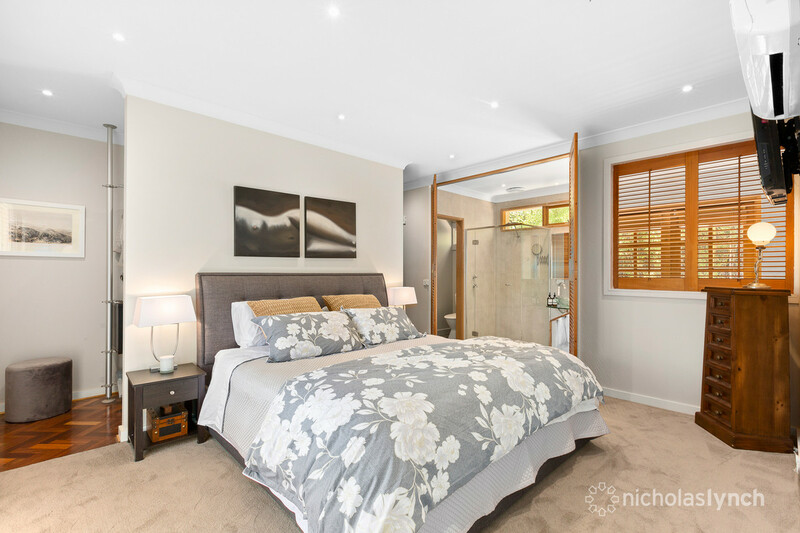 There are four bedrooms and three bathrooms including a master retreat with a walk-in-robe, en suite and private courtyard. 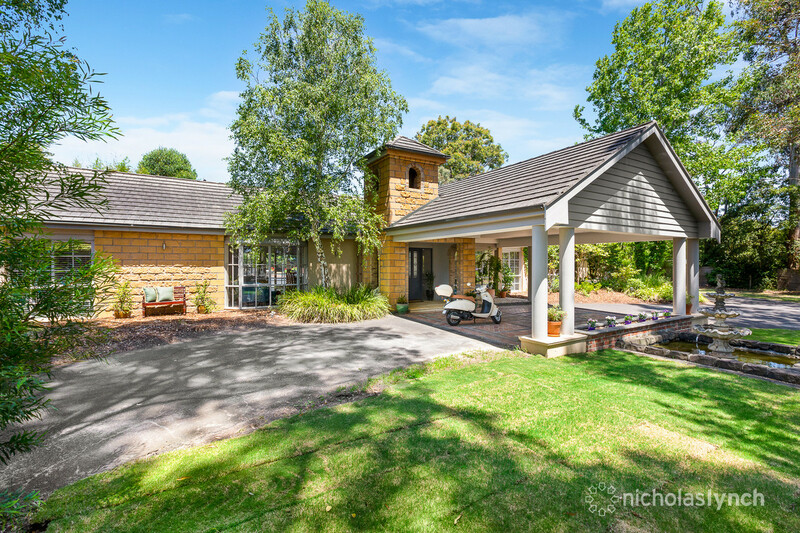 Other additions include a rumpus room, separate home office, double garage, workshop, storage room, ducted heating, split-system air-conditioning and CCTV. 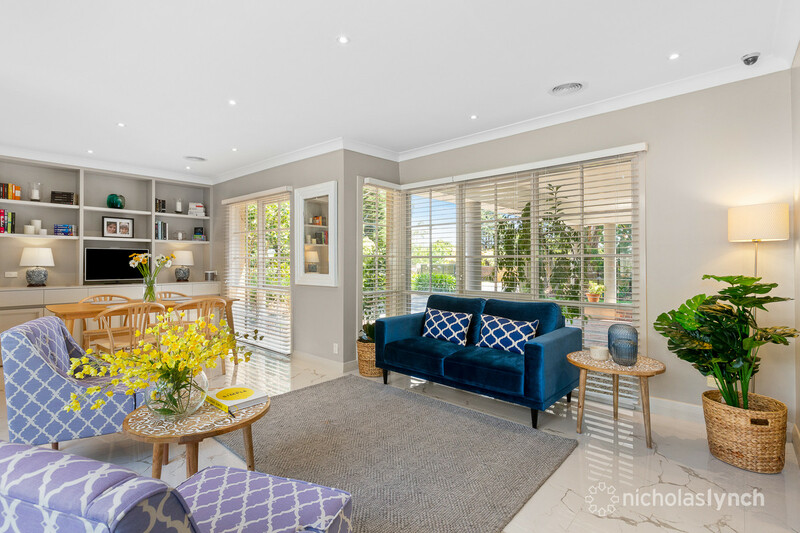 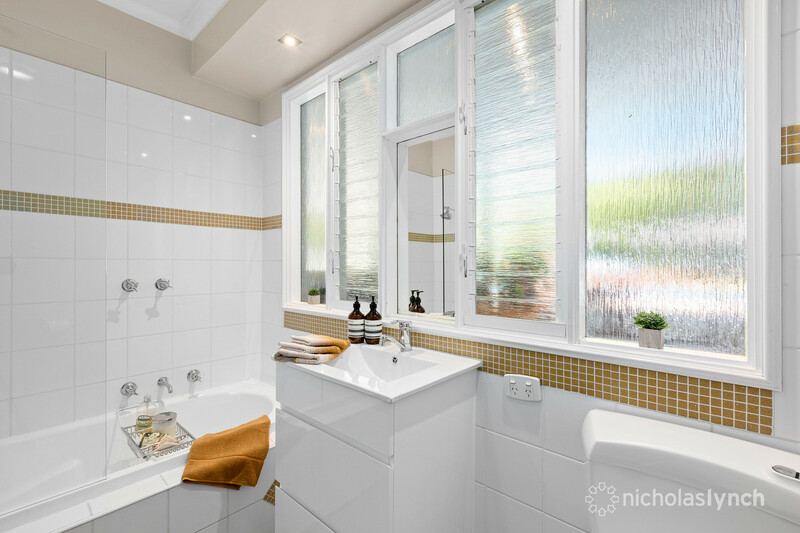 Close to quality schools and the village shops and cafes, this tranquil haven could be yours to enjoy.